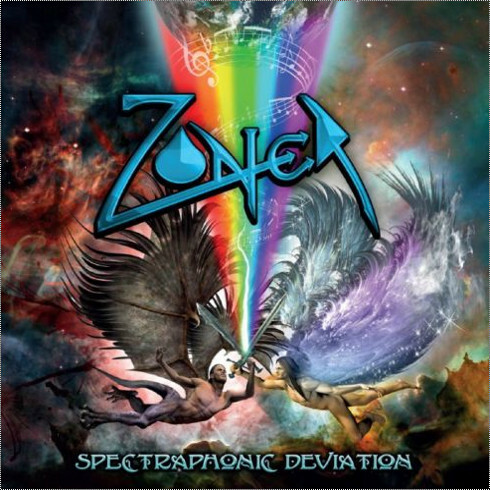 ZONER is a rock entity based in Cyprus. So what? Well, given a chance, this new release could just be your new favorite record if you are open minded enough. And why "entity" and not "band"? Ah yes! Actually ZONER is a one man band. No wait…come back…give it a chance…. ZONER is the brainchild of one Antonis Demetriou. Fed up with being in bands that got him nowhere he decided to form his own so that he wouldn't have to compromise artistically or otherwise ever again. ZONER's music cannot be easily labeled. It's rock with old-school metal flourishes via proggy arrangements that take you off guard and with a touch of pop sensibilities. "The songs are great but all over the place"
"You are an A&R's nightmare"
"Unique and brilliant but you are an one man band: so, no!" So, enter "Zoner Recordz" and the album is finally a reality. ‘Spectraphonic Deviation’, the title of the album in question, is a collection of songs written and recorded in the past few years. Interestingly enough it was designed to resemble the way LP's (ask your dad) used to work. Meaning, it's only 8 songs with a slightly under 40 minutes duration that could be split into Side A and Side B. The songs flow unto one another and although it's not a concept album by any means it's best and more rewarding for the listener to be absorbed as a whole. The album design features the unparalleled talents of Ed Unitsky, probably THE most gifted artist of it's kind today. One could easily buy the CD just to marvel at Ed's work. Oh wait, "buy" we said? You can actually get the CD for FREE! Yes, the physical CD not a download - although you CAN download it for free at ZONER's website. Why free? Well according to THE man "I can't expect in the year 2012 for people to buy a CD of a complete unknown. Well, I want the music to be heard so it's either I give it for free or the CDs will be sitting here forever…"
Check the songs on YouTube at http://www.youtube.com/zonerband and read Paul Jerome Smith’s newly published review in Fireworks #56, or now here on Rocktopia.